Product #15463 | SKU 62HZE | 0.0 (no ratings yet) Thanks for your rating! 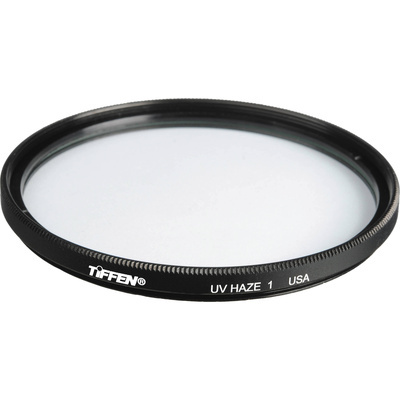 The Tiffen 62mm UV Haze 1 Filter is a general use, clear filter that helps to absorb ultraviolet light and reduce the bluish cast of daylight. This filter is especially useful when photographing at high altitudes or around bodies of water. No additional colouration or contrast is provided, allowing you to pair this filter with others. Tiffen filters are made using ColorCore technology; a process that involves laminating the filter substrate between 2 pieces of optical glass, grinding flat to a tolerance of 1/10,000th of an inch, then mounting to precision metal rings. Absorbs most ultraviolet light and reduces bluish cast of daylight. Clear filter provides no additional colouration or contrast, allowing you to pair this filter with others. General protection filter reduces dust, moisture, and scratches from reaching lens elements.